After an exciting season with my new driver and fairway wood from HIO I decided to go for a new putter. My putting was horrible and I lost about 7 strokes per round because of silly 3 putts. Buying a putter just from the wrack sounds strange for a golf freak like me. 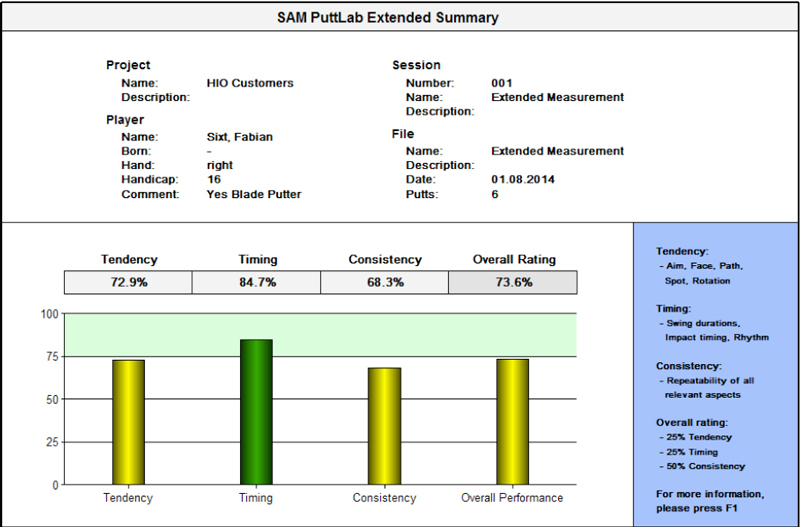 Thus I decided to book a putter fitting with the SAM PuttLab 3D Analysis. 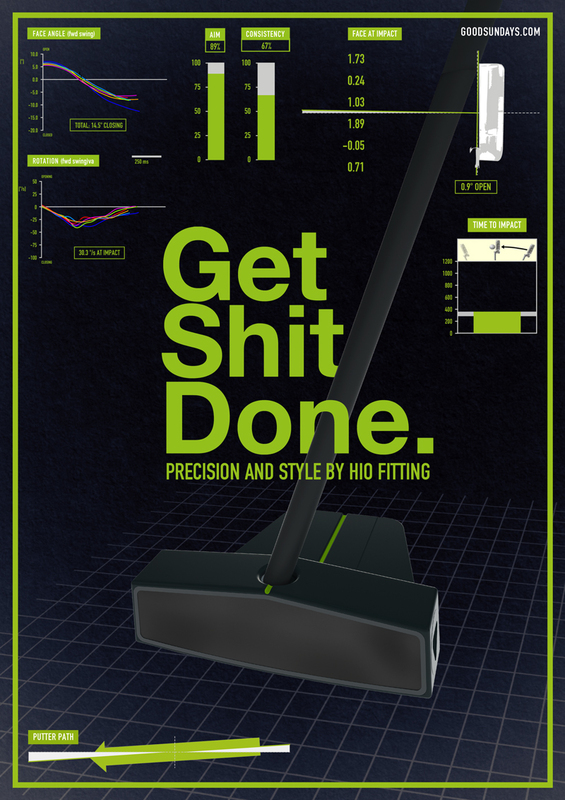 As an innovative fitting company founded in 2011 HoleInOne-Fitting created a cutting edge putter fitting process. With the technical experience how to develop a putter and the biomechanical background of how to use a putter the team of HIO is setting up an immense high standard. 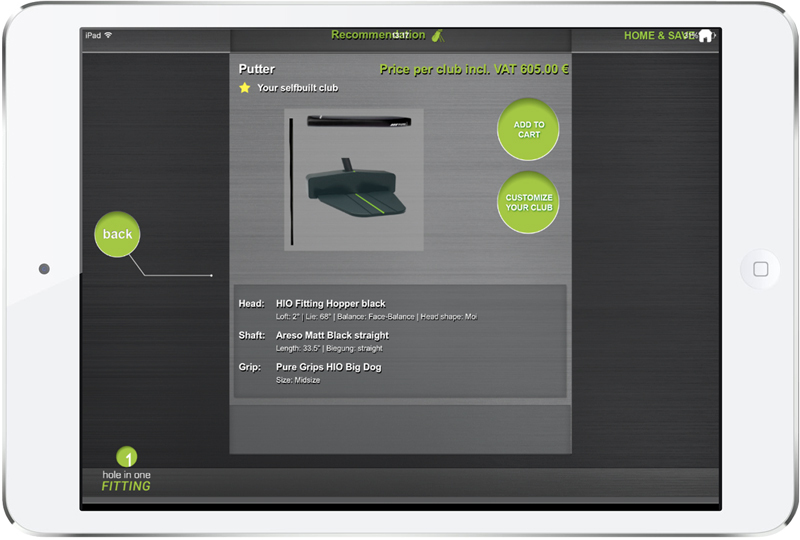 The fitting app from HIO guides you through a complete putter fitting questionnaire ending up in a recommendation which putter would fit best to you. Afterwards you are able to test different head-shaft-grip combinations. Every single component needs to be checked and adjusted to the preferences of the player. 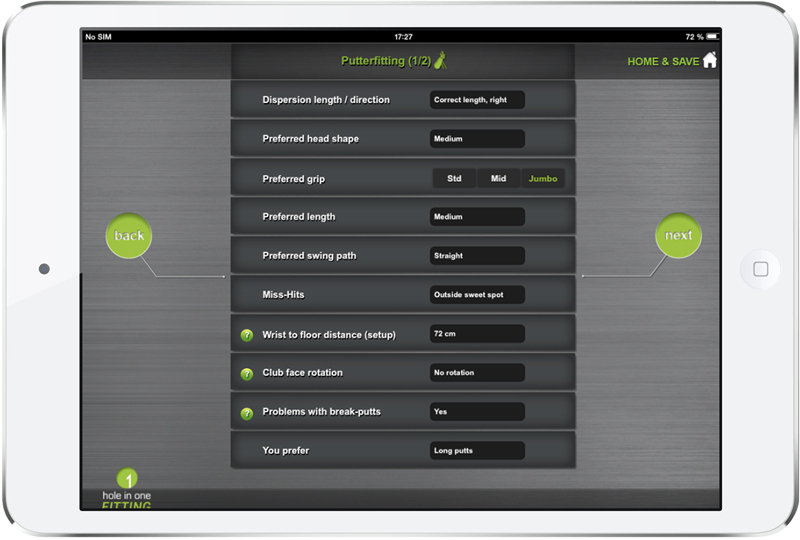 Beside these parameters the consistency of your putting stroke is the most powerful factor. No matter if you have a perfect or an awful technique you have to be able to repeat your stroke type. Otherwise you will probably leave the golf course with too many shots and less money. 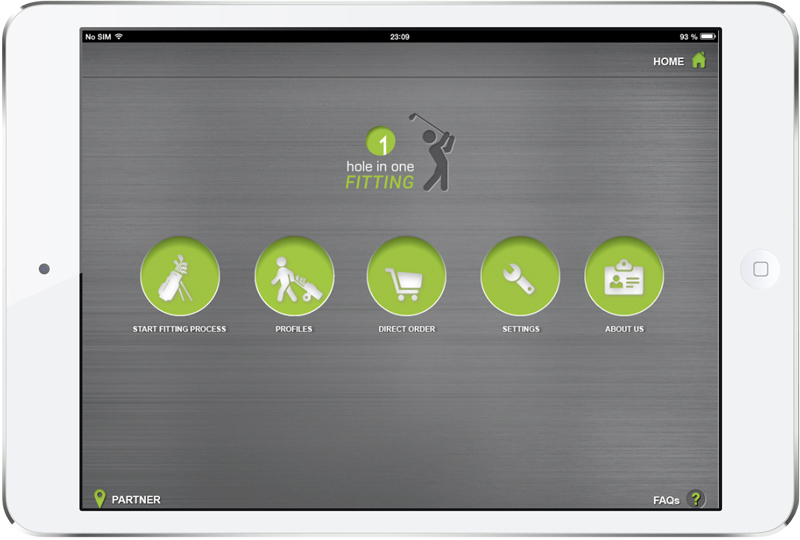 To get the most out of this data HIO combines their app technology with the high-end analyzing tool from Science and Motion. Keep on integrating new technologies to improve the quality of the analysis is one of the key visions of the HIO-Fitting concept. Is the putter your most important club? 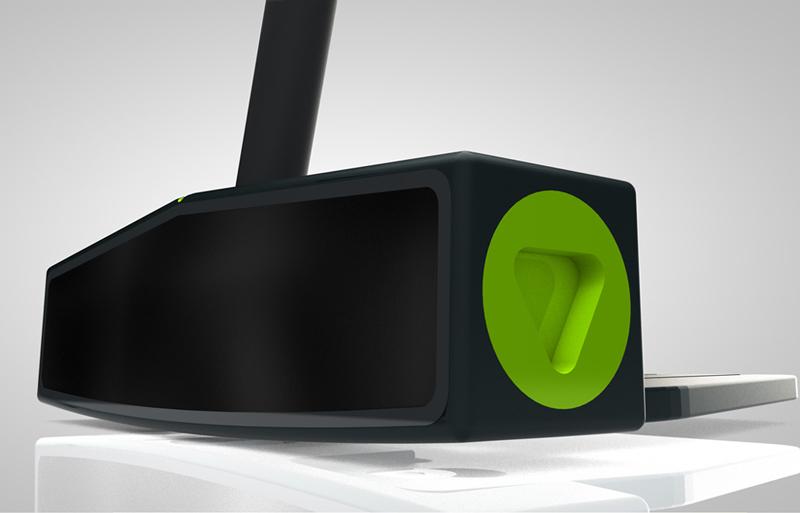 A golfer is using his putter around 36 times per 18 holes. Compared to other clubs in your bag this is quite a lot. What would you say if I would ask you the question whether the putting stroke or a drive is a more sensitive motion? The answer of HIO’s fitting director is definitely “no shot in golf is more about feeling than putting”. Having this in mind you should ask yourself why most of the people are testing different driver shafts but not even think of testing different putter shafts. 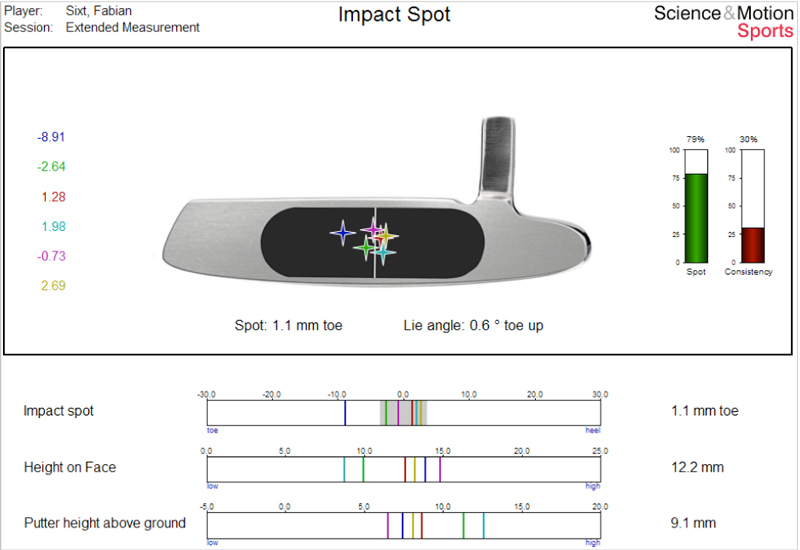 Fitting is well known for the long clubs in the bag– in putting most players still need to be convinced about the great potential of the putter. 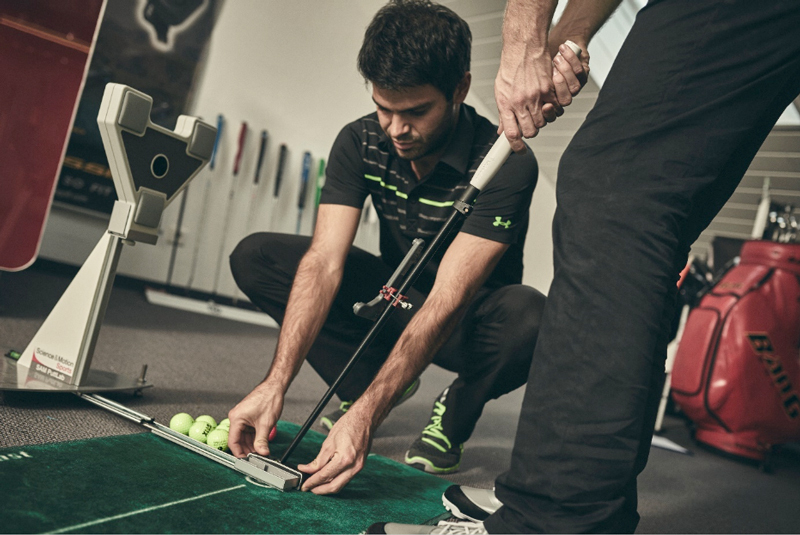 Marco from HIO-Fitting is working with the PuttLab for years and is especially known for his expertise in putters. For the fitting I just had to bring my old Yes putter with the SuperStroke 5.0 jumbo grip. We started with kind of a questionnaire about putting. A similar one can you find in the Fitting App from HoleInOne (free of charge). After we defined all my strength and weaks in putting I was ready for the first measurement. With the ultrasound sensor on my shaft the PuttLab was able to capture about 28 parameters of my putting stroke. 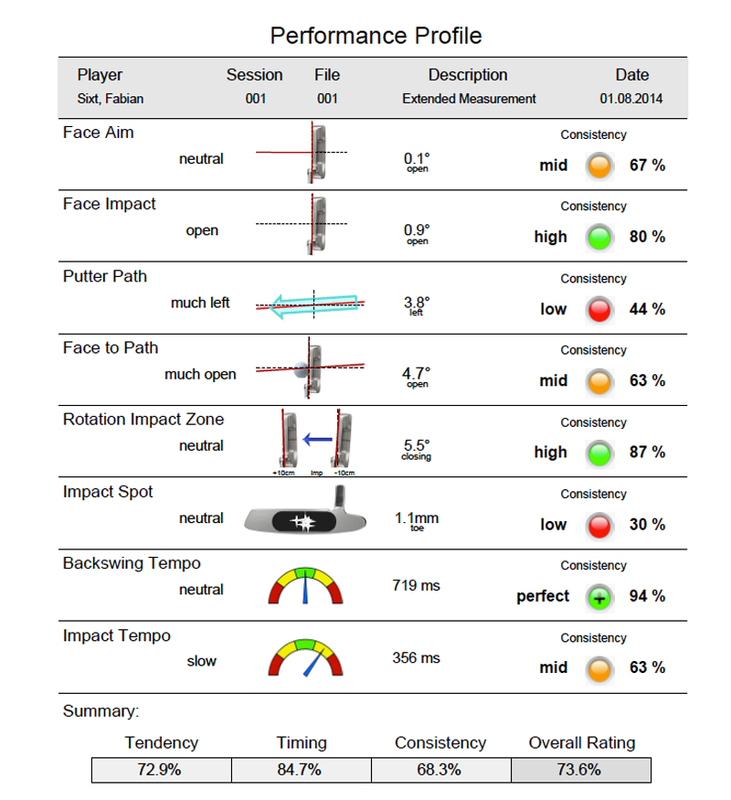 10 putts and I was done – a total rating of 73,6% … a lot of space to improve!! Marco explained that the PuttLab software rates all data in relation to 150 tour players who have been measured in the past. It is very rare that you can see amateurs with 90% or more on the “overall” scale. Anyway – let’s discuss the most relevant aspects of my stroke. 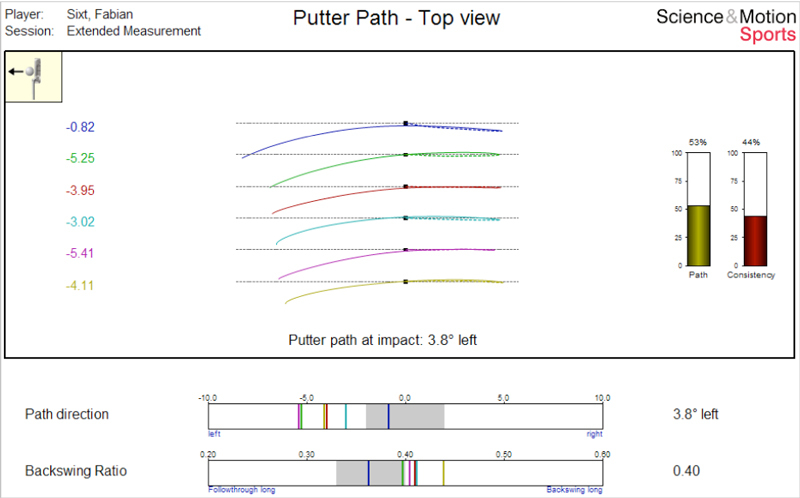 SAM PuttLab rates my putts due to three relevant factors – tendency, timing and consistency. In the blue bar you can see what these factors in detail mean. If you are in the top level section the color code will appear green – if you are medium it will appear yellow and if there is a lot to improve it will appear red. Obviously my overall rating of 73,6% is not really good – HIO wants to push me towards a minimum of 80%. To achieve this goal we have to look into the details of my tendency and my consistency. Each color/number on the left side is representing one single putt. For example the first put was 1.73° open while the second one was only 0.24° open. 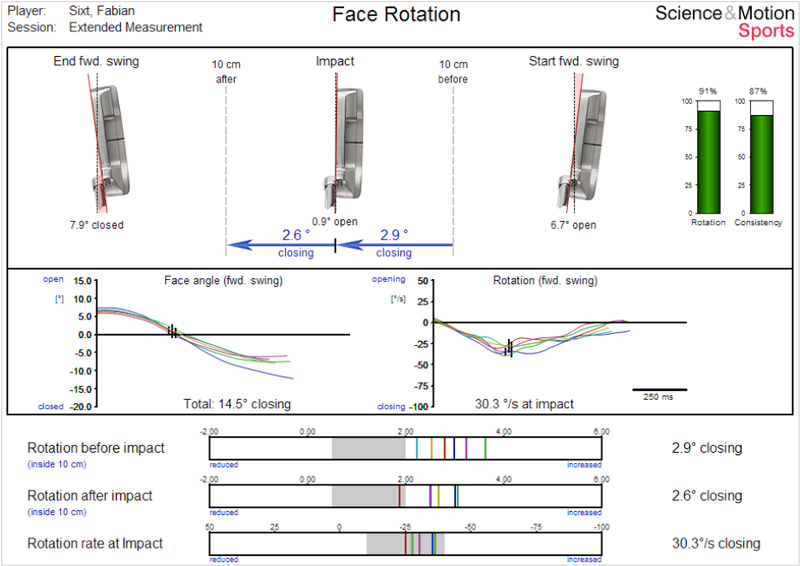 My face being in average 0,9° open at impact will result in misses right of the whole. Compensating this with an out to in swingpath (fade) will bring my ball back on line. Although any compensation moves make it more difficult to repeat the stroke continuously. Fading the putt is seen quite often when putting a blade putter. 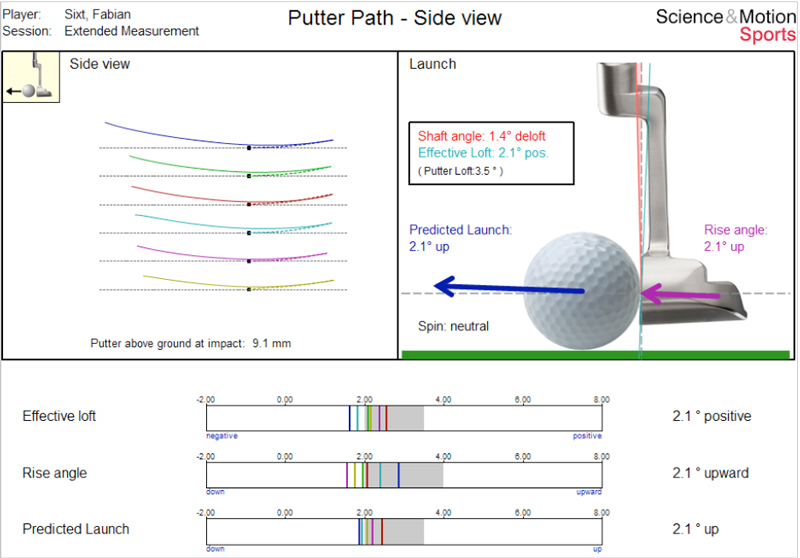 Also the length of the shaft influences the direction of the path – a too long putter results in an eye position inside, balance back at the heels and the tendency to pull the ball. The grey bars below are representing the data of 150 tour players. Taking care about these numbers is a good. My perfect weigh configuration would be 20g in the heel and 10g on the toe to increase the closing of the face. This is probably my worst screen. The dashed line is showing my backswing which is going straight or little inside – the continuous line is showing my forward swing which is moving extremely inside after impact (black dot). Having the two major putting styles in mind (arc vs. straight) my forward swing fits more into the arc style whereas my backswing looks more like the straight one. HIO recommends me to find a more neutral and relaxed path. The less I have to deal with my hands or clubhead, the more I can concentrate on putting the ball into the whole. My perfect putter should be a face balanced or slight toehang one. A long aiming aid can help me to stay more neutral with my path. A shorter putter of about 33”/33,5” will work against my tendency to pull the ball. My perfect lie angle would be around 68° as my shaft is actually too long. A bigger head which has normally a higher MOI will help me to compensate poor hits. 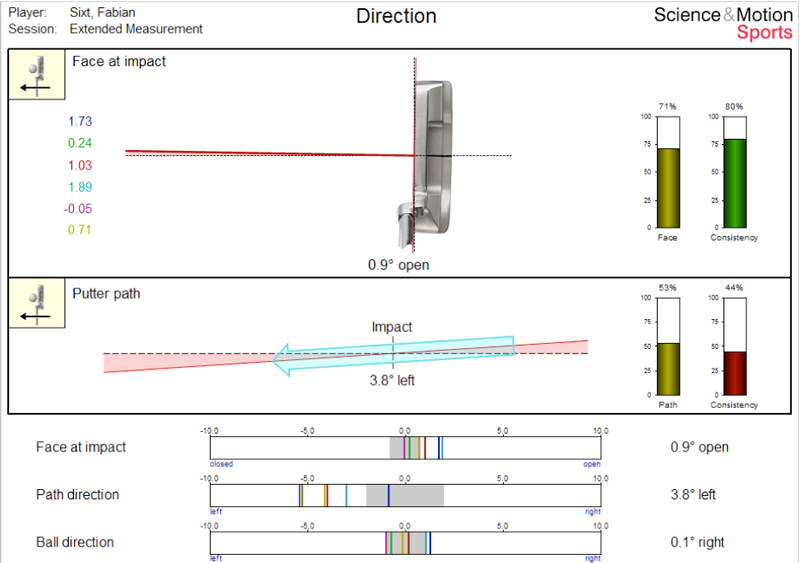 My Yes putter is having a static loft of 3.5°.Putting the hands little forward at impact is resulting in 1.4° deloft. Thus my effective loft is static loft minus/(plus) shaft angle: 3.5° – 1.4° = 2.1°. Typical putter lofts from the bigger brands are between 2° and 4° loft. Beside the loft the rise angle / attack angle is relevant for the spin of the ball. The average tour player is hitting the ball 3° in the upswing. As long as the putter loft stays below 3° you will get top spin. If both numbers are equal you will get no spin and if the loft is higher than the rise angle you will create backspin. Topspin on the ball will produce a true roll with less break calculation. Every time you think about loft and rise angle you should consider the ball position – the more forward you place the ball the higher the rise angle will be. My perfect putter loft would be around 2° loft to get topspin on the ball. Relative to the length of my backswing and forward swing the rotation of the putter head is quite nice. From all screens I got the best rating here. Looking at the numbers of 6.7° open at the end of the backswing and 7.9° closed at the end of the forward swing we don’t recognize any high rotation numbers. My giant putter grip also works against a rotation. As I am feeling very comfortable with a bigger grip HIO supports me in this idea. Nevertheless a big putter grip will result in less feeling. HIO recommends me to play a slightly thinner but heavier grip compared to the SuperStroke Giant. More weight in the top of the shaft will eliminate unwanted wrist movements. With 100 of numbers in my mind it was absolutely helpful to see my stroke in the 3D replay. Just released I was happy to be one of the first guys who can use the 3D Add on from Science and Motion. This is how one of my strokes look like. The white putter you can see in the video is a tour player who has a very little arcing stroke. 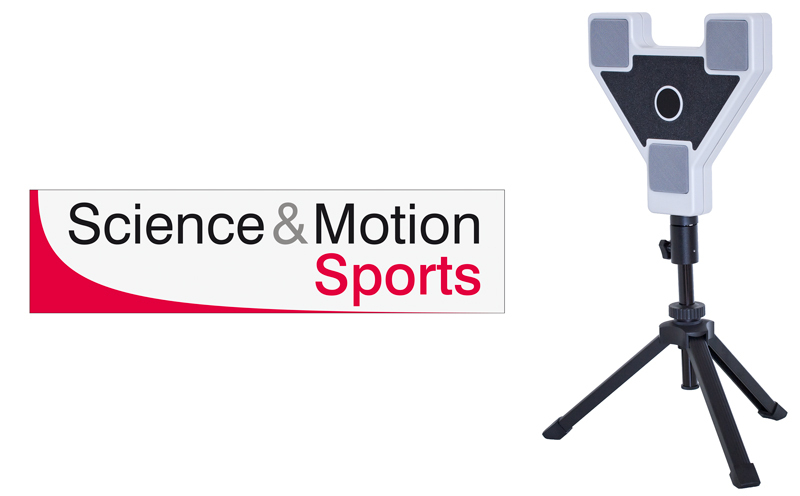 Thumbs up for Science and Motion to bring putting analysis up to a new level!! Round about half an hour was over with concentrating on my stroke. The next 30min should give me an idea of the perfect putter to improve my game. To get a feeling for the different kinds of putters Marco selected 3 MOI and 2 mallet putters for me to test. He was just interested in how I felt with these and what are the differences to my old one. After that I was really impressed about the different sounds, feelings, alignments, weights of these putters. Personally I had two preferred heads without knowing if the fit my stroke or not. To get an objective result we did about 7 putts with all heads to see which one can compete in the PuttLab rating. Especially the factor “consistency” was relevant for Marco to see how often I am able to repeat a certain stroke. Most of the best putters worldwide do not have a perfect putting technique but a very consistent one. 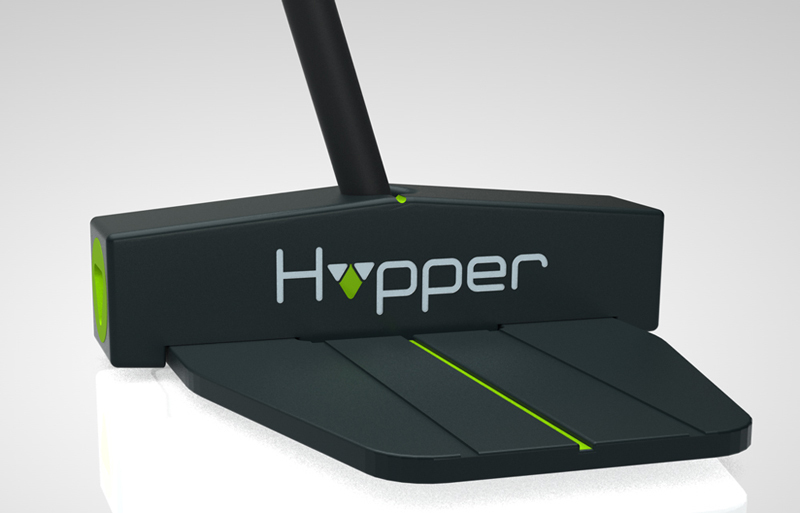 Here http://www.hio-fitting.de/de/hopper you can also read a statement about the Hopper from Dr. Christian Marquardt who is known as one of the best putting experts worldwide. With 500-600€ this putter is quite expensive. But if you consider that this is a completely custom fit putter engineered and manufactured in Germany it is not a bad deal. 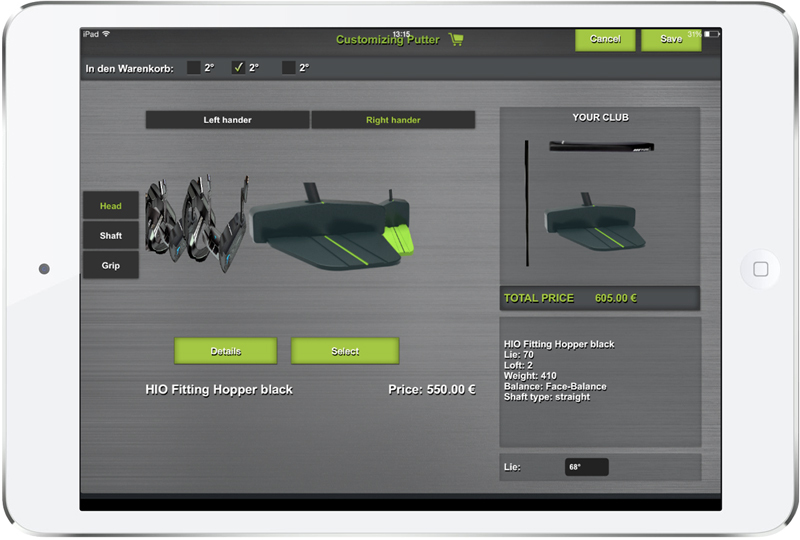 Most of the opponents sell those kind of putters at a much higher price point. Marco also claimed that he can’t understand why golfers regularly invest 500€ for a new driver rather than focusing on the most relevant stroke – PUTTING. After this putting session I can fully understand his argument and I am highly motivated to keep on getting better on the green. I am looking forward to my next check-up at HIO in about 2 months to figure out if I can reach the 80% with my new putter.